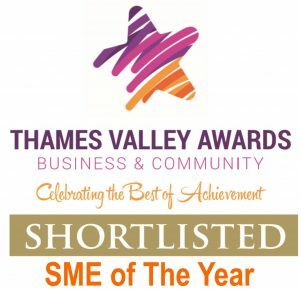 Speedboard Assembly Services is pleased to announce that it has been shortlisted in the SME of the Year award category for the Thames Valley Business & Community Awards 2018. In this category, the judges are looking to recognise an organisation with an annual turnover of up to £25 million that is demonstrating its ability to grow or a strong potential to do so. It must have a clear understanding of the market in which it operates and its future development within that marketplace, together with sound and measurable business practices. Speedboard’s vision is to be our customers’ shop floor. To give customers the feeling and service they would expect if it were their own. In achieving this we are one of the leading CEMs in the UK, keeping pace with technology, process innovation and our customers’ demands. Speedboard’s 24,000 sq ft facility in Windsor is well-invested and resourced, providing an efficient environment for high quality production. Speedboard delivers a full suite of CEM services including design for manufacture (DFM), sourcing, assembly, testing, packing and shipping, offering its customers a single supply solution for complex low/medium volume electronic assemblies. Award winners will be announced at a ceremony in Ascot on 31st January 2018.